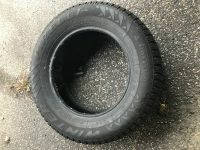 Selling two Perelli Winter Carving Edge studded snow tires (235/60R 16). Only used for one season! 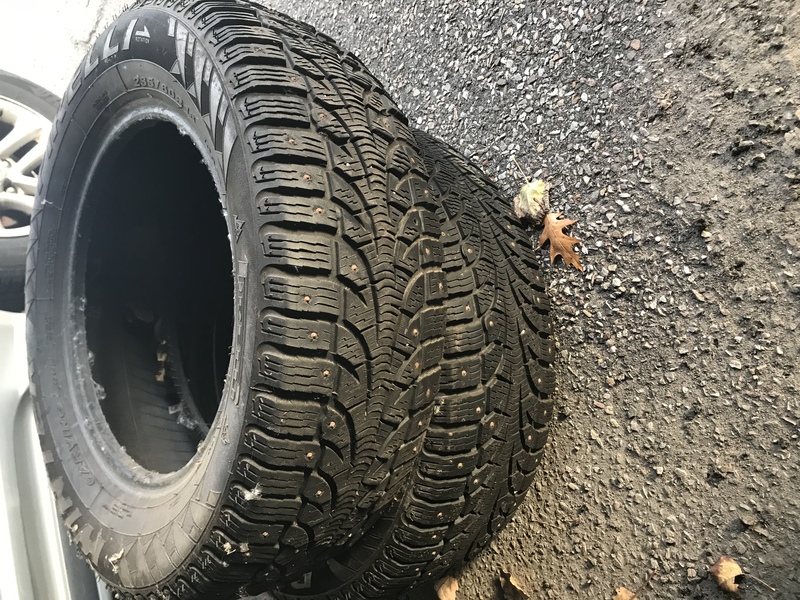 Really high quality snow tires. Awesome in the snow and slush. 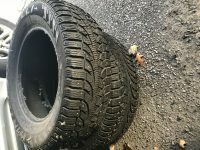 Drive with confidence this winter! 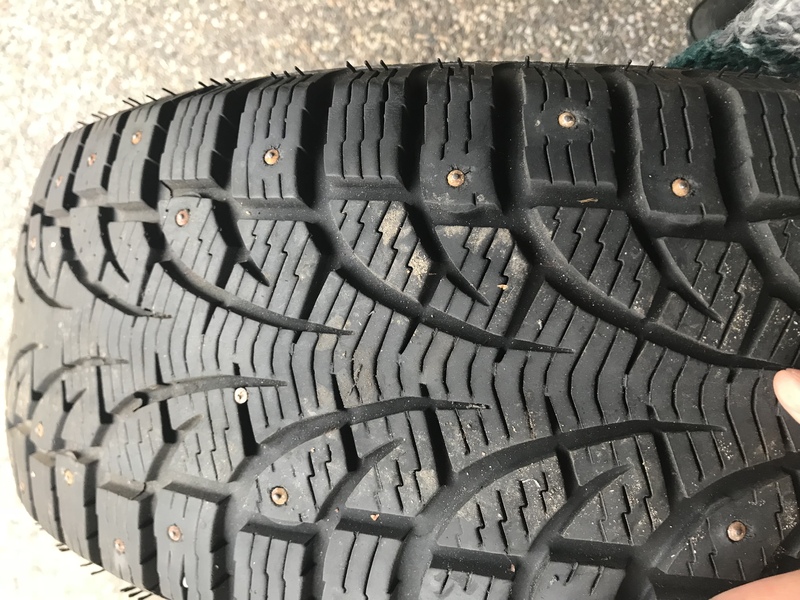 Increased level of traction and pattern stiffness and better and faster water slush expulsion. Excellent traction and breaking in snowy/icy road conditions. Excellent on fresh snow, WINTER CARVING EDGE™ has a directional tread pattern with an optimized stud hole design. This offers exceptional stud retention and improved acoustic comfort. 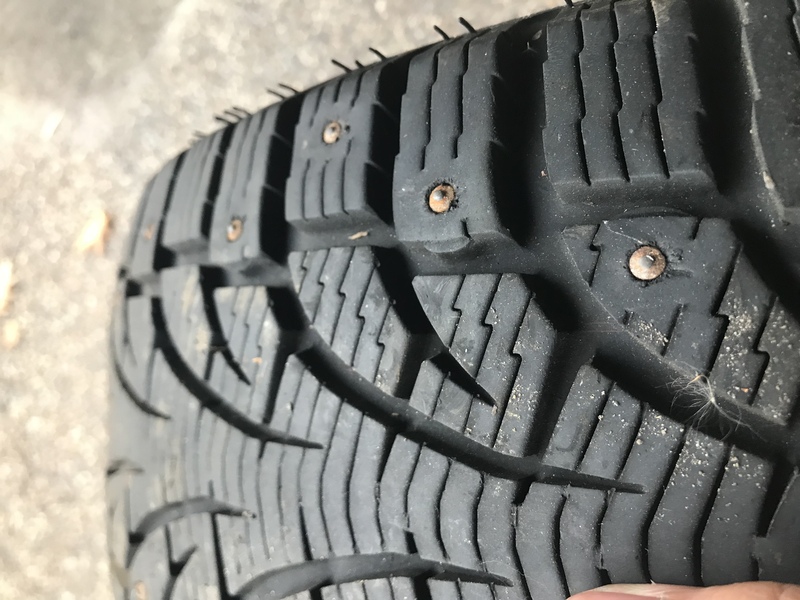 The directional tread pattern design provides the best possible lateral road holding, even in the most difficult conditions.